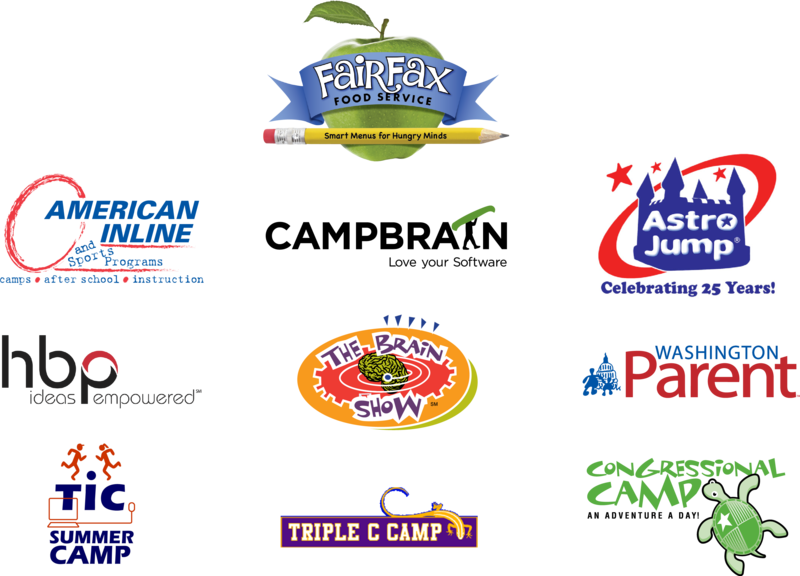 A Special Thank You to all of our sponsors for their time, energy and/or financial support of CampCon. Please take a couple minutes to review our sponsors and if you are interested in any of their services please let them know you found them thru CampCon. If you or your business are interested in sponsoring CampCon please contact us. If you’re looking for healthy, affordable and delicious meals for your school, camp or day care center, you’ve found the right place! For more than 35 years, we’ve specialized in high-quality, high-value food service.We offer smart foods for hungry minds. And we look forward to working with you! Our specialty is sports on wheels. From bike riding to skateboarding, American Inline is the only provider of summer camp on wheels in the Washington DC area. We teach kids to be smarter, safer bike riders and skaters every day, every summer. The Brain Show is taking the country by storm. This interactive game show, which is a big hit with all ages, offers authentic fun and excitement of a real live TV game show including colorful podiums featuring computerized lights and sounds. AstroJump is the “The Easiest Party you’ll ever have!” With a huge inventory of inflatables, water slides, games and more contact Astrojump to take your camp events to the next level this summer. HBP provides customers with intelligent solutions – from concept to delivery. Using a customized approach, we align business goals with communications initiatives that leverage print, digital, web-based, and mobile channels.